To succeed as an e-commerce retailer, you need to succeed at SEO. No ifs, no buts. 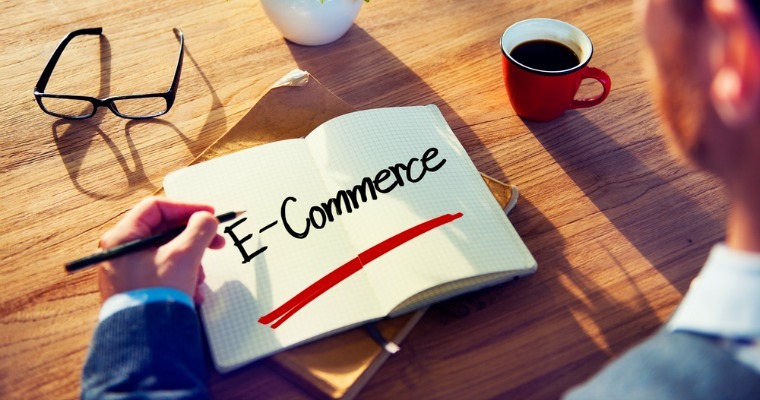 The harsh reality is that a reported 80% of e-commerce stores fail. The causes of this range from a lack of investment and poor cash flow to having a website which consumers do not trust, low-quality product photography, and even a lack of traffic. No traffic means no sales, and this ties in perfectly with a poor-performing SEO campaign. That’s not to say that e-commerce SEO is easy. Far from it. Looking at the requirements in this way makes it a little clearer as to why most e-commerce retailers fail. Competition is fierce in most niches, and it’s no longer possible to rely on a single SEO approach. Having so much talent with one team is expensive, as are agencies who specialize in such campaigns. Why? Because experts cost money, and it’s nothing short of experts which are needed to succeed at e-commerce SEO. But such funds aren’t always available, especially for startups and many retailers find themselves either relying on a small in-house team (who are likely also managing PPC campaigns, email marketing campaigns and social media campaigns, at the very least) or having no choice other than to implement campaigns themselves. What there is no point doing here is repeating what you can learn from these resources! Each of the three guides above is fantastic; full to the brim with actionable advice and guidance. If your e-commerce SEO campaign is struggling, however, there may be a relatively simple reason. Getting the architecture of your site, that is, how pages are organized and arranged, is important for any site, however, it’s even more so for e-commerce stores. It must be easy for both users and search engines to find and understand the core areas of your site but too many e-commerce stores suffer from poor decisions being made regarding site architecture. As a general rule, every page should be no more than three clicks away from your homepage; ideally fewer. All too often, web designers and developers fail to understand how consumers browse e-commerce stores and propose a solution which follows no real logic and often centers on a single ‘all products’ category, a further sub-category and a whole host of others off from this. If your site architecture makes it difficult to find the products or categories which a user wants to browse; it’s time for a re-think. Remember the three clicks rule and you’ll ensure users can find the products which they’re looking for and that search engines will also be able to fully understand your product ranges. 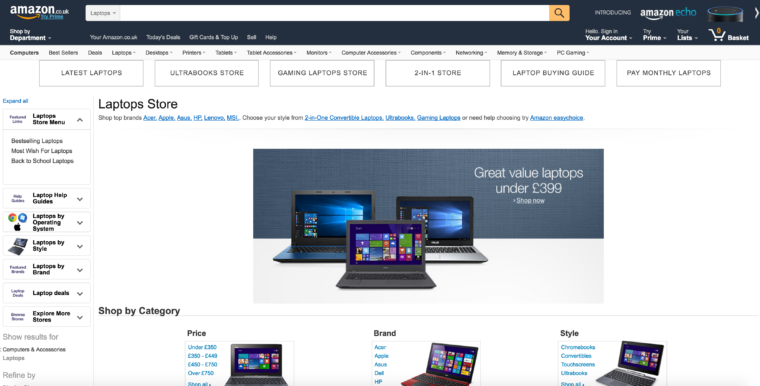 As always when it comes to e-commerce, if in doubt as to the right site architecture, do as Amazon do! In just two clicks, you’re presented with a range of gaming laptops, with further filter options available if you wish to continue to refine a step further. Anyone involved in developing or marketing an e-commerce store can learn a lot from Amazon (at the end of the day, you’d expect a company who has a marketing spend of millions of dollars per year to have ‘got it right’ by now), especially when it comes to both search engine friendly and user-friendly site architectures. Long and almost nonsensical URLs are no good to anyone. They’re unclear to users, and they’re without a doubt confusing to search engines and are often a reason for poor performance. Both unnecessarily long and nondescript or query string URLs are no good for SEO and need rewriting. The same rule applies to both category and product URLs, as well as generic site pages. Best-practice is to implement search engine friendly URLs in a clear and simple format. Let’s say your store is an online bedding retailer and you know you need to fix issues with query strings across categories and products. URLs should be concise and descriptive, yet include the main target keyword, without being over-optimized. Getting your URL structure right will make it easier for Google to crawl, index and, ultimately, rank your category and product pages. Despite duplicate content being one of the easiest SEO concepts to get to grips with (it’s simple; don’t do it), a large number of e-commerce stores are plagued with it. The problem lies in the fact that Google struggles to determine which page to rank, whether link juice should be assigned to a single page or multiple versions and which is most relevant. The aforementioned e-commerce SEO resource from ahrefs perfectly highlights a case study where a webmaster saw significant traffic growth once duplicate content issues were resolved. It’s said often enough, but leaving duplicate content in place for an e-commerce store is like committing SEO suicide. Take the time to identify where duplicate content exists across your store, both using everyone’s new favorite tool, OnPage.org and Copyscape. Whether there are 10 pages or 10,000 pages which contain duplicate content; make it a priority to resolve the issues by creating in-depth, unique content across every individual product and category. Always avoid using manufacturer-supplied product descriptions as that’s the lazy option and the one which the majority of retailers take. Don’t duplicate; be unique and stand out for it. Adopt your tone of voice and add your business’ personality to help sell. Almost as bad a having duplicate content is having thin content and almost all e-commerce stores are guilty of it. Why? Because for one reason or another, SEOs have typically looked for the easy routes to take. A few years back, the most commonly recommended word-count was 300 words for just about anything, be it a blog post or category page. Could Google be any clearer? If you want to succeed at e-commerce SEO, you need to ensure that your core pages, category, and product listings offer plenty of informative, relevant content. 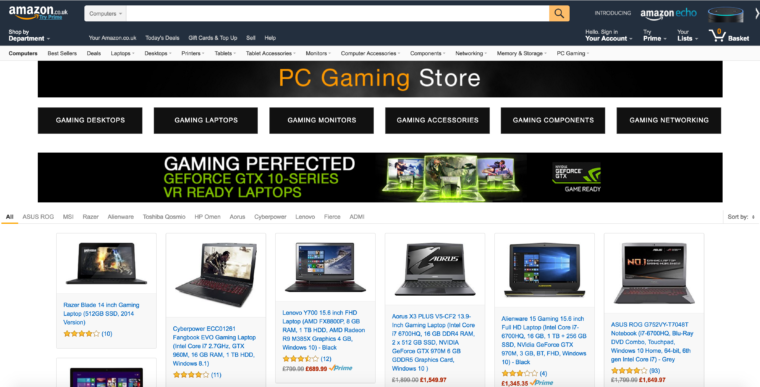 How long should content be on e-commerce pages? You won’t find it hard to read conflicting reports, but it is recommended by the likes of Brian Dean that 1,000 words should be seen as a minimum. While it may be impossible (short-term) to write 1,000 + words for every single product and category page, place priority on your best-selling or most popular products and work your way down the list. It’s no use writing 1,000 words of rubbish either! Whether for a product page or category page, every single word must add value and go above and beyond what competitors are doing. Content, alongside images and videos (and the price), can help to sell a product so make the most of it and get it right! Matt Cutts (remember him?!) outlined back in 2010 that Google use site speed as a ranking factor, yet we all still experience painfully slow e-commerce stores on a daily basis. If your store is slow, you’re offering a poor user experience and Google believe that it’s a reason why a site shouldn’t rank in the top spots. Do yourself a favor and head over to the PageSpeed Insights tool and run a test for your domain. You’ll then be presented with a list of actionable suggestions to improve the speed which, in turn, could result in higher ranking positions. Yes, the suggestions are sometimes too technical and beyond the standard scope of many SEOs but there isn’t any shame in asking for a helping hand from your developer! See a full guide on page speed improvements for e-commerce stores fromecommerceguide.com for further improvements which may not have been considered. If you haven’t heard that Google is likely using CTR as a ranking signal, you must have been hiding under a rock for the past year! The two main purveyors of this are Brian Dean and Larry Kim, both of whom have shared a wealth of content in recent months. The thinking behind the theories is that a poor CTR reflects users not being enticed to click on your site and that those with a higher CTR are, essentially, more relevant results. Many e-commerce stores suffer from a poor CTR, and there’s every reason to believe that this is negatively impacting upon rankings and the overall performance of an SEO campaign. To put it simply, a higher CTR means more traffic and more traffic usually means more sales! Not only should you be optimizing your title tags for a higher CTR but your meta descriptions, too. Apply the same theory behind optimizing your title tag to your descriptions and highlight why searchers should click on your site over the competition. Spend time analyzing what those who rank alongside you are doing and better it. Google wants to see unique title tags across each and every page on a site and one of the most common problems identified with e-commerce stores is duplicate title tags. Why? Because adding unique title tags to each category and product variant takes time and the harsh reality is that many so-called SEOs are lazy. From detailed keyword research through to mapping each one to the correct landing page, working to prevent keyword cannibalisation at the same time; there’s a process which must be followed to prevent duplicate title tags, and there’s no denying that it is time-consuming but one which in itself yields results. 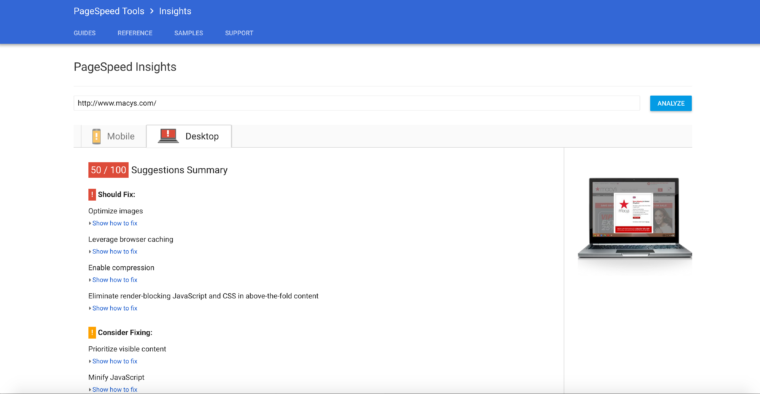 The first place to turn to identify duplicate titles is Google Search Console, under the Search Appearance > HTML Improvements tab. Other sources for identifying duplicate title tag issues are OnPage.org and DeepCrawl.com. The bottom line is that removing the issue of duplicate title tags is one which yields results. Title tags which are poorly optimized (or even over-optimized) are another common issue and resolving these alongside removing duplicates is almost guaranteed to result in noticeable ranking improvements, as demonstrated in this Ahrefs case study. Perhaps an extension on the topic of poorly optimized title tags is that of having a poor keyword strategy. All too often, e-commerce stores fight over and chase the most generic search terms. This means they don’t consider those keywords which capture consumers at different stages of the funnel. It’s important to employ a keyword strategy which ensures your store ranks in strong positions regardless whether consumers are carrying out initial product research, comparing options or ready to purchase. While you want to optimize for keywords which deliver a high search volume, these generic terms typically have a lower conversion rate than long-tail terms. Ensure the keywords are relevant to the products and ranges which you offer and don’t make the mistake of forgetting those with commercial intent. To add, these generic terms are great for volume and brand awareness. They shouldn’t form the entirety of a keyword strategy, but an important one nonetheless. Try to understand the search intent surrounding a particular term. From this, you can then ensure at least a large proportion of your keyword strategy is targeting those terms consumers search for when they’re ready to buy! Look back five years and SEO was very different. In the pre-Penguin era, e-commerce managers often did the one thing which gave them a quick and easy win; they bought links. Links which used over-optimised anchor text. This, as anyone who has been in the industry for more than a couple of years (come on Google; everyone is waiting for Penguin to refresh!) knows all too well; resulted in hundreds of thousands of sites being penalized. Some as a result of the Penguin algorithm, some with manual penalties. As such, there are still large numbers of e-commerce sites who have some form of a penalty in place. Often, these are as a result of unnatural links. If an e-commerce SEO campaign is struggling, despite having great on-page and technical foundations and a current run of earned links, there’s a possibility that the site has a penalty which hasn’t been revoked or recovered from. If you suspect that this may be the case, you need to determine the type of penalty in place. Use Moz’s algorithm change history to compare your Google Analytics data to look for any correlation. Check Search Console for manual actions and, lastly, carry out an in-depth link audit to be in a position to prepare and submit a disavow file if Penguin is the most likely culprit. While technical optimization is the foundation of any e-commerce SEO campaign; links are still a vital component in driving success. Unfortunately, earning links for an e-commerce store isn’t easy. In fact, Google recently confirmed that content and links are two of the top ranking signals. Retailers typically don’t have the same opportunities to earn links as those in some industries do, however, that simply means a creative link builder is needed to drive results. If your campaign is struggling to overtake your competition, take a look at your link profile. Compare it to your main competitors. E-commerce link building is typically tough because most editorial content links to other content; not commercial pages. Earning a link to a product page or category page isn’t easy and, mostly, isn’t natural. If you’re offering our products for review, those links should be nofollowed. If you’re sponsoring ‘guest posts’ with bloggers, those links should be nofollowed. Seeing the pattern? Google values earned, editorial links but it takes a very creative link builder to earn these to commercial pages. Despite this though, e-commerce link building can be both fun and rewarding, when done correctly. Take the time to approach the process creatively and work out what would make a publisher link to a commercial page. Maybe you’re an exclusive seller for a particular brand? If so, ask them to link directly to their category on your store. Stocking ‘extreme’ products (even if they don’t actually exist) can be a great link building tactic. This has famously been done by Wish.co.uk. Remember their ‘zombie paint balling’ experience? Or their ‘dinner at number 10’ experience? There’s nothing wrong with getting creative as it still works to earn natural links. Don’t forget traditional link building approaches, however. The Skyscraper Technique, broken link building or authoritative guest posting are just a few approaches which work well. Links still matter and are likely to do so for a long time yet. If you haven’t mastered e-commerce link building yet, it’s about time you did. Great, relevant links, will transform any campaign for the better. These are just 10 of the most common reasons why e-commerce stores fail. If you’re running a campaign which you know could be doing better, create a quick checklist. That way, you can dig a little deeper and try to understand what’s going on. It takes time to get e-commerce right, and there’s often no instant wins above and beyond the basics. Too often, though, it’s simple things causing issues and part of winning the battle is knowing exactly what these are and knowing how to fix them. Are Private Blog Networks Always Bad For SEO?